One of Goa’s brightest stars in theatre and a Goan who has made significant contribution and has helped shape the state’s art and culture space, passed away on Thursday, January 10. A veteran Goan theatre personality, Vasant who was residing in Saligao, expired after a brief illness. Born on 8 January 1947 in Varkhand village in Pernem, Vasantwas a well-known actor in the Marathi and Hindi theatre. He was drawn into theatre by way of the traditional Sangeet Natak, taking part in performances in his village together with his father and his brother. Later, he attended the National School of Drama, New Delhi, taking a diploma in stagecraft in 1976. He joined the NSD Repertory Company the following year and worked there up to 1986, acting in various successful productions. In 1987, Josalkar moved back to Goa to work for the Goa Kala Academy, and served the Academy as Director up to 2000. He was an independent actor since that time. Josalkar’s plays with the NSD Repertory include productions such as ‘Mukhyamantri’ (1979), dramatized from ChanakyaSen’s novel and directed by Ranjit Kapoor; BasamSabnis’s ‘Saiyan Bhaye Kotwal’ (1980) directed by Usha Banerjee; and Rameshwar Prem’s ‘Charpai’ (1975) directed by Manohar Singh. He is remembered for his role in Shirwadkar’s ‘Natsamrat’ (1986) directed by Kirti Jain and presented by Sambhav in Delhi; and Athol Fugard’s A Place with the Pigs (1993), in English, directed by Gyanesh Moghe in Goa. As Director of the Goa Kala Academy, Josalkar had directed and designed a number of productions including Mohan Rakesh’s Ashad ‘Ka Ek Din’ (1993) and ‘AadheAdhure’ (1997), Chintamani Khanolkar’s ‘Ek Shoonya Bajirao’ (1995), and Vijay Tendulkar’s ‘Kamla’ (2007), besides dramatic renderings of several short stories. He has acted also in television serials and films. For his services to theatre, Josalkar was awarded he Rang Samrnan (2009) by the Kala Academy of Goa. 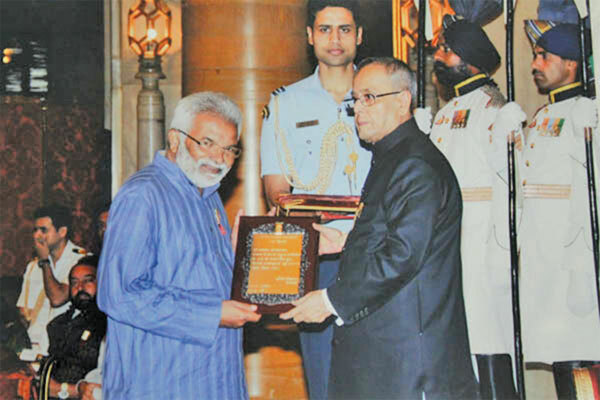 The Directorate of Art and Culture, Goa, had also honoured him with its Kala Gaurav award (2010). Josalkar further received the Sangeet Natak Akademi Award for his contribution to Indian theatre as an actor.